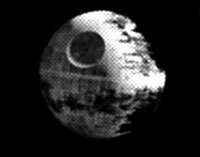 SPACE- The Death Star — which is already 25 years and 98.4 billion credits over budget — might have more cutbacks to reach completion. Contractors on the job are considering eliminating a close-fighter defense to save some money. “I mean, who needs it? This thing can blow up a planet. You’d have to be stupid to go at it head on. That’s what the deflector field is for,” said Grand Moff Tarkin. “Is the superlaser operational? I’ll invite you to find out,” he added.